Starting a new year often involves setting goals and renewed energy to work on projects that may have fallen by the wayside. My plan for 2019 is to send out at least two emails a month with resources or ideas to help you become a better improviser. to get us started, I want to take a look at a new resource that could provide us with a whole year of work, if not more! In 2011, Jeffrey Brillhart gave us Breaking Free. 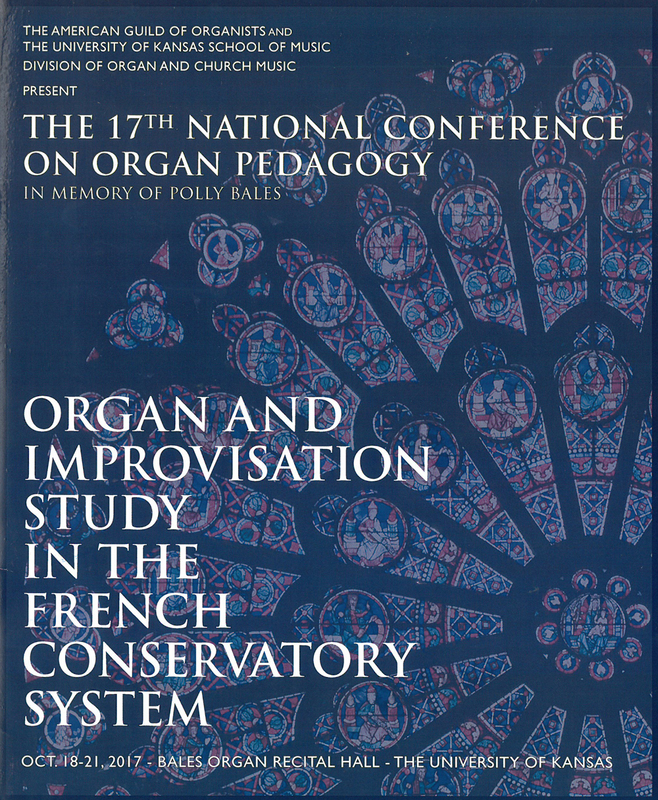 It is a very thorough and progressive resource for developing a personal musical language drawing inspiration from many of the 20th-century French masters. In my review of the book, I lamented the lack of specific tasks for the student. While useful for a teacher of improvisation, I wasn’t sure the uninitiated student would know what to do with all the wonderful material presented there. Just before Christmas, I received a new book by Jeffrey Brillhart that clearly addresses that concern. 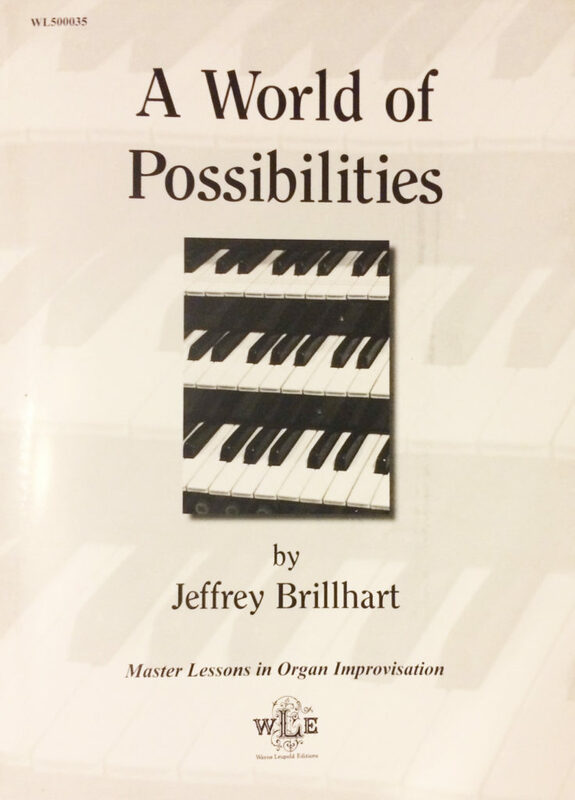 Subtitled “Master Lessons in Organ Improvisation,” A World of Possibilities contains 32 units. Each unit provides an exposition of material to cover and specific assignments for the student to improvise in order to master the material. Even in the first eight units where tonal language is the primary material, a form is given for the assignment. The result is that one is almost always improvising a complete piece that might be performed in front of an audience or used in worship! In Breaking Free, form is reserved for the last few chapters and discussed very broadly. 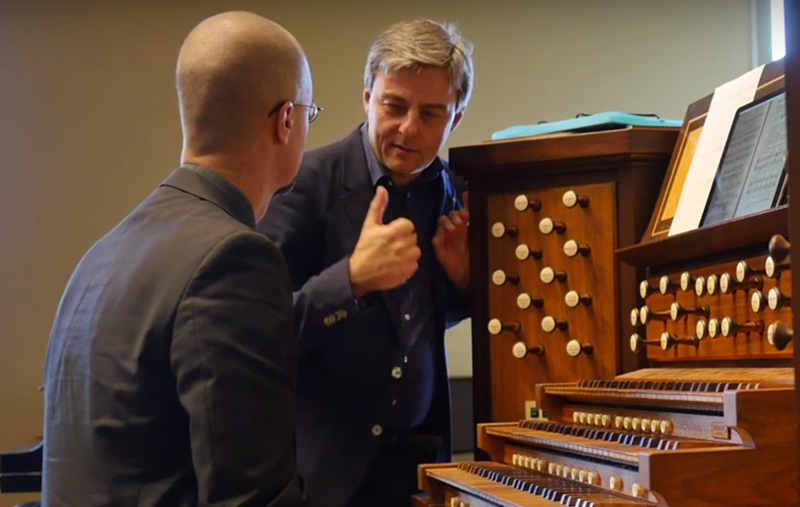 In this new book, he gives us concrete analysis of two major works for organ: Charles Tournemire’s L’orgue Mystique, Opus 55, no. 7 (Epiphania Domini) and Maurice Duruflé’s Prélude, adagio et chorale varié sur le theme du ‘Veni Creator,’ op.4. The Tournemire takes two units and the Duruflé three units. Brillhart breaks down the structure of each of the pieces and identifies elements for students to include in their own improvisations. 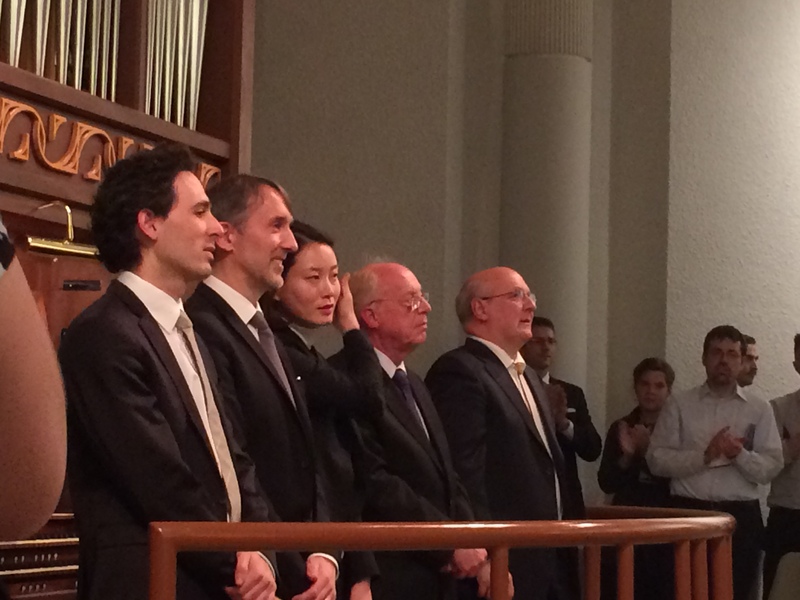 Sandwiched between Tournemire and Duruflé are five units on the language of Messiaen. Other middle units cover versets, the acoustic scale, shifting modes, improvising on emotional states, visual images, text and variations. After the Duruflé units are four on symphony and a final one on silent film accompanying. Organists seem to be a rare breed these days. Those who improvise in public are even rarer. Those who understand improvisation well enough to teach it well seem to be the rarest of the rare. Jeffrey Brillhart demonstrates with A World of Possibilities that he is indeed a master teacher of improvisation. 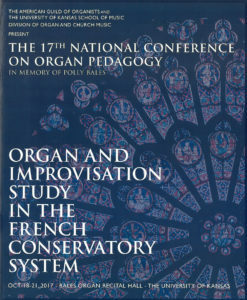 The book deserves its subtitle: “Master Lessons in Organ Improvisation.” No matter what skill level the student begins with, each assignment provides a challenge, and no matter how hard the challenge may seem, it seems only a short distance away from the previous assignment. The material is dense, and you will need a copy of Breaking Free in order to take full advantage of A World of Possibilities. A simple assignment instruction, perhaps only one sentence, might take a week of practice to explore and master. The organization and structure of the book however make sure that if you spend the time, you will become a better improviser and be prepared to tackle the next assignment. If you are looking for a way to track your progress and improvise better in 2019, I can think of no better way than to pick up the two books by Jeffrey Brillhart and get to work. Posted in Book, Newsletter. Tagged Breaking Free, Charles Tournemire, Improvisation method, Jeffrey Brillhart, Maurice Duruflé, Olivier Messiaen, World of Possibilities. Posted in Themes. Tagged Advent, Bartholomäus Crasselius, On Jordan's Bank, Palm Sunday, Wer nur den lieben Gott, Winchester New. 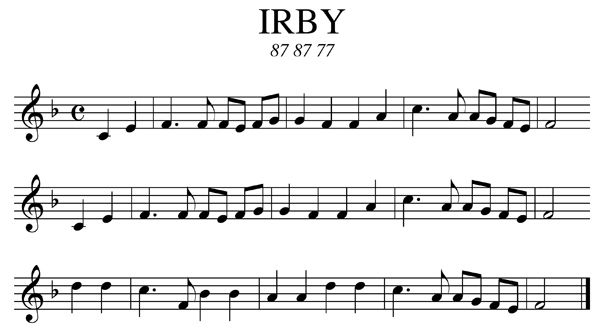 The hymn tune IRBY was composed by Henry J. Gauntlett and is usually associated with the text “Once in Royal David’s City” for the Christmas season. It is the traditional tune for the opening of Lessons and Carols and King’s College, Cambridge every year. Posted in Themes. Tagged Christmas, Henry J. Gauntlett, Holy Family, hymn tune, Irby, Once in Royal David's City. I’m looking for ways to creating a good last verse extravaganza of any hymn. I normally do the re-harmonization techniques. Apart from that, what other techniques can you suggest for me. With Christmas services approaching quickly, I couldn’t help but look to two of my favorite last verses for inspiration. David Willcocks provides fabulous final verses for O Come All Ye Faithful and The First Nowell. What does he do in these two settings that we could apply to other tunes for a thrilling ending? If you have a congregation that sings in harmony, this gives everyone an auditory signal to sing the melody. Unison singing is also typically louder than singing in parts. With a strong organ registration and strong unison singing from the congregation, this gets our final verse a solid start. Pedal points build tension and anticipation by the changing harmonies above the anchor note. The best pedal points tend to be the dominant of the key. In The First Nowell, this is the A held through the entire second phrase of the hymn. For O Come All Ye Faithful, the pedal point doesn’t arrive until the refrain. The D (dominant of G) is held through the first two phrases of the refrain with a little rhythm to energize it when the melody phrases. While it is possible to create some extravagant final verses through re-harmonization, there are virtually no accidentals in The First Nowell. While my first idea was to suggest using diminished seventh chords as in O Come All Ye Faithful, when I started comparing the two, I realized it was the descant above the melody that makes the final verse soar. Until the refrain of The First Nowell, there is no one singing a descant, but the organ abandons the melody and moves higher many times throughout the verse. The organ acquires its’ own melody which is quite singable. Here then is where our real improvisation practice begins. 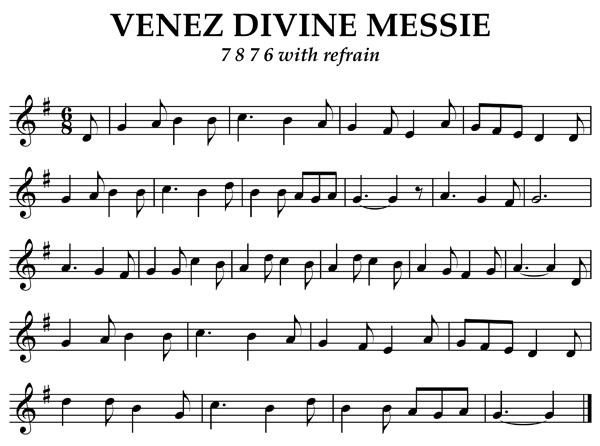 How many other melodies can you create while using the same harmonies as a given hymn tune? If you can do this while changing the harmony as well, you will be in good shape to create a true extravaganza for the last verse. 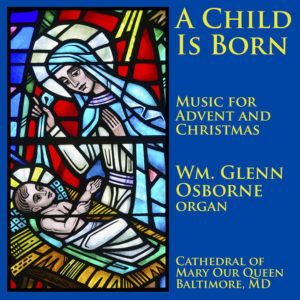 Earlier this month, I released my second recording from the Cathedral of Mary Our Queen: A Child Is Born. 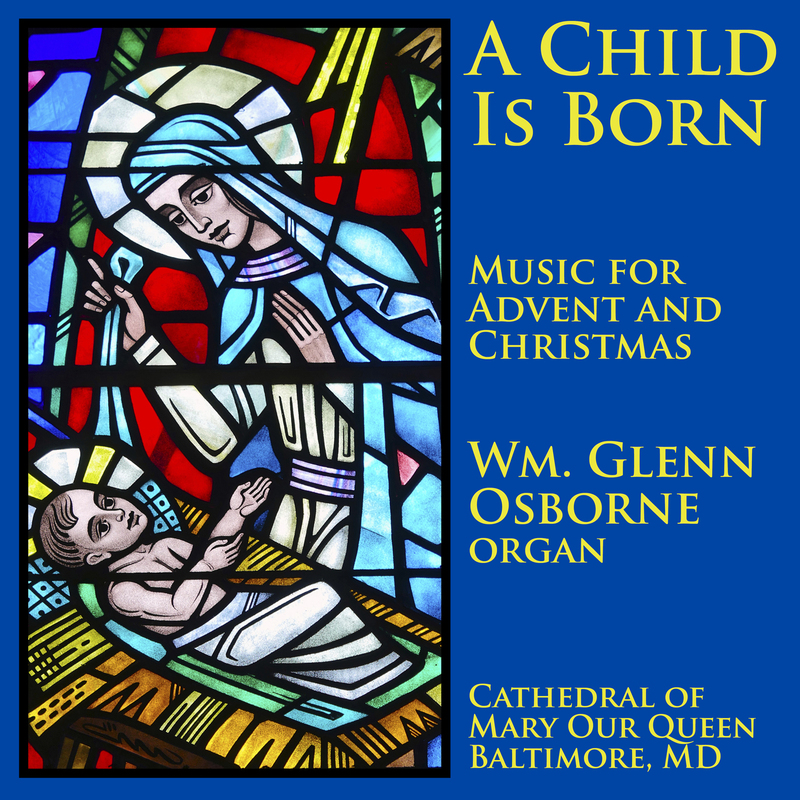 In addition to compositions for Advent and Christmas, it includes several improvisations. You can find it on iTunes, Amazon, and Spotify. If you have been a long time subscriber, you may recall a short series of articles on modeling Tournemire. The Advent Suite included on the recording is a result of those newsletter issues. If you missed them, check out Issue 50, Issue 51, and Issue 52. Posted in Lesson, Newsletter. Tagged A Child Is Born, David Willcocks, Hymns, Newsletter, O Come All Ye Faithful, The First Nowell. Posted in Themes. Tagged hymn tune, Newington, St. Stephen. Posted in Themes. Tagged Advent, French, hymn. Posted in Newsletter. Tagged Harmony, Michael Bauer, Michel Bouvard, Olivier Latry, Philippe Lefebvre, Shin-Young Lee, University of Kansas, Vincent Dubois. Posted in Information, Newsletter. Tagged Newsletter, Spotify. Posted in Newsletter. Tagged AGO, Baltimore, Cathedral of Mary Our Queen, masterclass, Music as language.